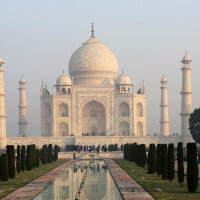 Famous Golden Triangle Tour of India is an introduction to India’s most popular destinations; Agra and Jaipur, starting and ending in capital Delhi. 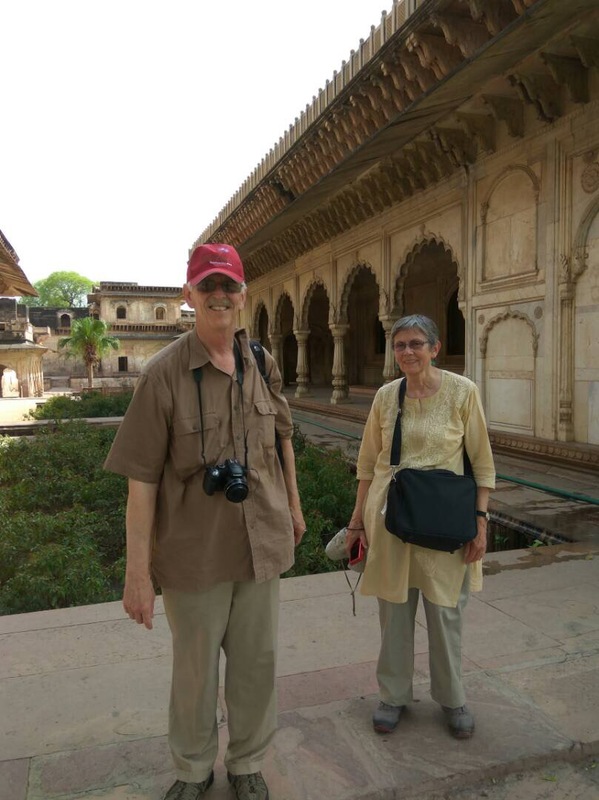 However in this tour, en-route – we also include a visit to delightful rural area of Deeg and Bharatpur, where along with visit to its opulent palaces, we wander around its village, visit a public hospital and may be a school and so forth, and spend the night in a heritage hotel, converted from Palace. 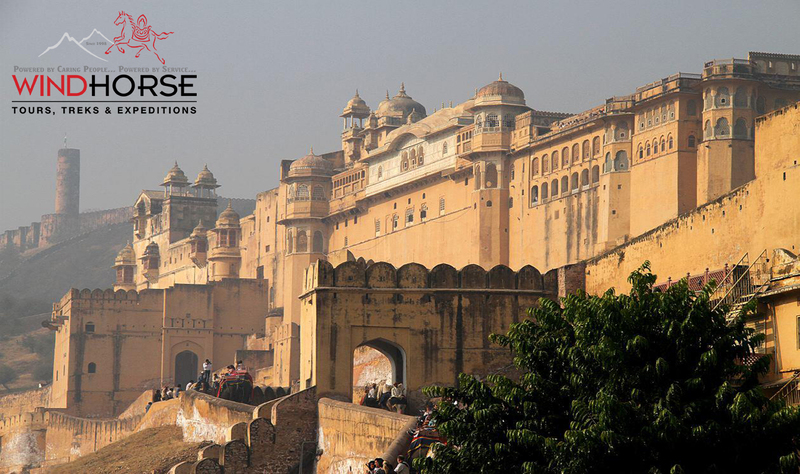 Experience the history of massive forts, the opulence and splendour of Rajasthan’s palaces, the bustle and buzz of markets, peace and serenity of rural town and the traditions of a heritage hotel in this compact India tour, jam-packed with unforgettable highlights. Upon arrival in Delhi, meet our representative and transfer to hotel. You can arrive at any time as no activities are planned for today. 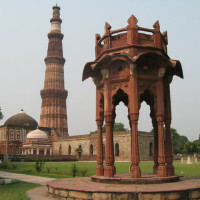 The rest of the day is for you to relax and adjust to the time change or discuss with the Guide to arrange tour of Delhi at an extra cost. Transfer to Railway Station to board Gatimaan Express, a high speed train that runs between Delhi and Agra. It just takes about 100 minutes to cover 188Km, which if we were to travel by road could easily take more than 4hrs. (Air-con chair car). Agra was the capital of the Mughal Empire from the 16th to the early 18th centuries. Upon arrival, proceed straight to Agra Fort on the banks of the Yamuna River. After visiting the Fort, check into the hotel. 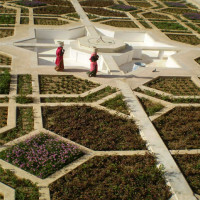 During the day, you will have free time to unwind and relax, or take optional tours to explore the back lanes of Agra. Later in the day, we make a sunset pilgrimage to the exquisite Taj Mahal, the white marble palace constructed over a 21-year period from 1632 to 1653 by Emperor Shah Jahan in memory of his wife, Mumtaz Mahal, who died in childbirth. Optional: In the evening you book and can see “Mohabbat The Taj’ a play that depicts the saga of love and a memorable journey into history of Taj Mahal. After breakfast at your hotel, drive for less than 1hr to see red sandstone ruins of the remote Mughal capital at Fatehpur Sikri. After lunch en-route, continue driving for another hour or so to Deeg, a delightful rural area with rich colorful history, packed with forts, palaces, gardens and fountains. Visit Deeg Palace, an opulent palace built in the mid-18th century. Meander through the palace gardens filled with fountains and hear interesting facts about kings who lived here, one of whom liked to make his evenings extra colorful so he used multi-colored water in the fountains. Then stroll in village to experience rural village life in India. We will also visit a nearby local hospital run by government. Three hour plus drive (185km) brings us to Jaipur, the capital city of Rajasthan, established in 1727 by Jai Singh II, and is India’s first planned city. It is known as the Pink City because of the color used exclusively in the walled city. Upon arrival in Jaipur, check into your hotel. There is so much to see here, and we will set on course with the visit to Jantar Mantar (Astronomical observation site) followed by visit to City Palace Museum (former royal families still live in a section of this palace). See Hawa Mahal, or Palace of the Winds, built in 1799. It isn’t really a palace at all—it’s a five-story facade where the women of the royal family could look out over the street scene of the city through more than 900+ ornately decorated sandstone windows. In the evening, meet a charming local host family where you can take part in an interactive cooking lesson. Learn about their favorite dishes and share a delicious dinner. It is a great way to immerse in the local culture. Note: If you wish to avoid this journey, you can take an evening flight from Jaipur to Delhi, which takes less than half hour (extra cost). Trip AccommodationChoice of standard, superior and deluxe hotel. For large groups, contact us for details. You can book your own hotel accommodation in each cites or add the price of the hotel listed below, according to your choice.Hotel cost includes daily breakfast and taxes for 04 Nights. 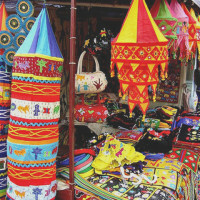 Experienced local English speaking guide for sightseeing as per itinerary. On the whole we had a positive experience. The guides who came through Indian Archaeology (or some govt certifying agency) were good, notably in Khajuraho. The reception by the local agent (Amritsar, Jhansi, Kahjuraho) was excellent. The hotel in Orcha (Bundekhand) was located nicely but needed renovation. Radisson- blue was the best in Khajuraho. Hotel services at all places were good. I would not hesitate to recommend you as a travel agent to my friends. 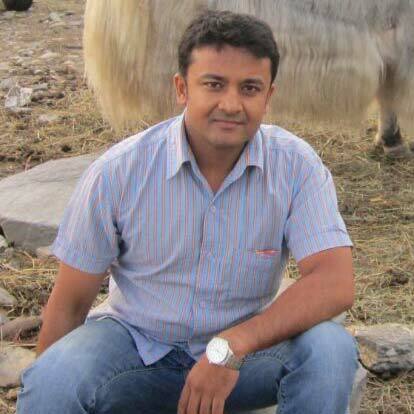 Hi Rajat. Li and I both had a good time on the tour. Our guide and driver were excellent and we had good conversations on the longer drives.I thought Amritsar's golden palace was one of the more amazing experiences while the ceremony at the Pakistani Border underwhelming. The long drives impressed upon us the vast scale of India. Our impression was that there is little to see between cities in the semi arid farmlands. Perhaps in future visits to India we would consider this in terms of or destinations and ability to take local flights between major internal destinations. We also have a better understanding of what "off season" and +40c weather means. It was good in that we saw the Taj Mahal without the high season crowds but also tiring to be out in the afternoon heat. We will likely return to Rajasthan area in cooler months. Everyone you arraigned for our tour and the people at the Oberoi hotels were wonderful! Hope to see you again! Thank you for your email. I greatly appreciate your interest to learn about our experience in India with Wind Horse. I'm now in Dhaka and I think it will take some time to get back to my routine after the wonderful time that I spent in India with my parents. It is hard to identify highlights since we enjoyed a lot everything that we experienced. However, some of the things we liked the most are the Teej Festival in Jaipur, the visit to Fatehpur Sikri and the Taj Mahal, and the overnight train to Varanasi. Also, my parents really liked the visit to Qutb Minar. The guides and drivers were really good, despite some difficulties with the language (Spanish, English, Hindi), and all the hotels were nice and comfortable. I am really glad we did not have any problems with the food. 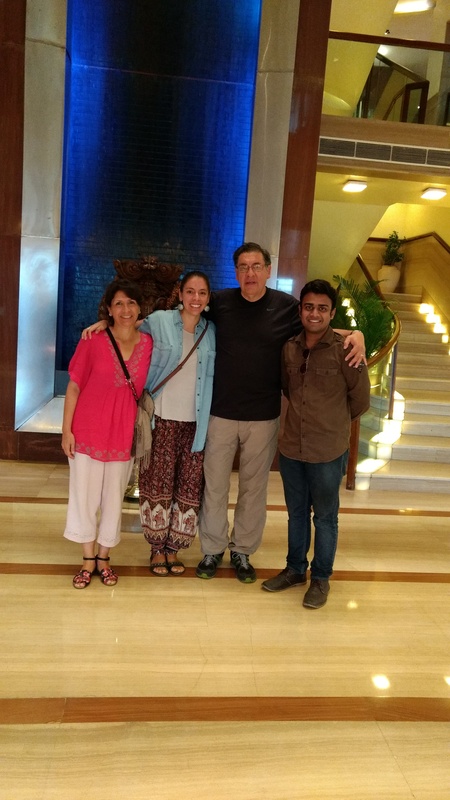 We are extremely grateful to Rajat for all the support (including outside of the planned schedule) and for sharing lots of interesting information about life in India. Thanks a lot for making everything work so smoothly! However delayed, I wanted to let you know what an amazing time we had on our trip in India with Wind Horse. Everything my husband had on his list of things he wanted to do and see was planned for and it was apparent to us that every representative we encountered from Wind Horse was intent on making sure that we were happy, and having the experience we wanted to have. Your country is amazing. Some of the most beautiful things I've ever seen are there, and I discovered one of the most beautifully impressive acts of kindness there as well (the kitchen at the Golden Temple). It almost brought tears to my eyes. Everything was an eye-opener which we felt lucky to experience. I also have to tell you that the guide we had (I believe his name was Shyam Vijay) turned out to be a wonderful companion. He knew so much to tell us about the temples and places we visited, but he didn't just convey the history and facts: he told us the stories too. That, and his passion, made our time with him, and in India, really wonderful. Thank you for being so readily available at the other end of the phone when we needed you. I hope you will share this with others in the India office who also made our trip so wonderful. My husband and I plan on reviewing our amazing trip through Wind Horse on Trip Advisor and some of the other travel sites. We came home with a great curiosity about the rest of India...hmmm, what the Southern part like? Or the Western part? I guess that means we'll probably be back!! !